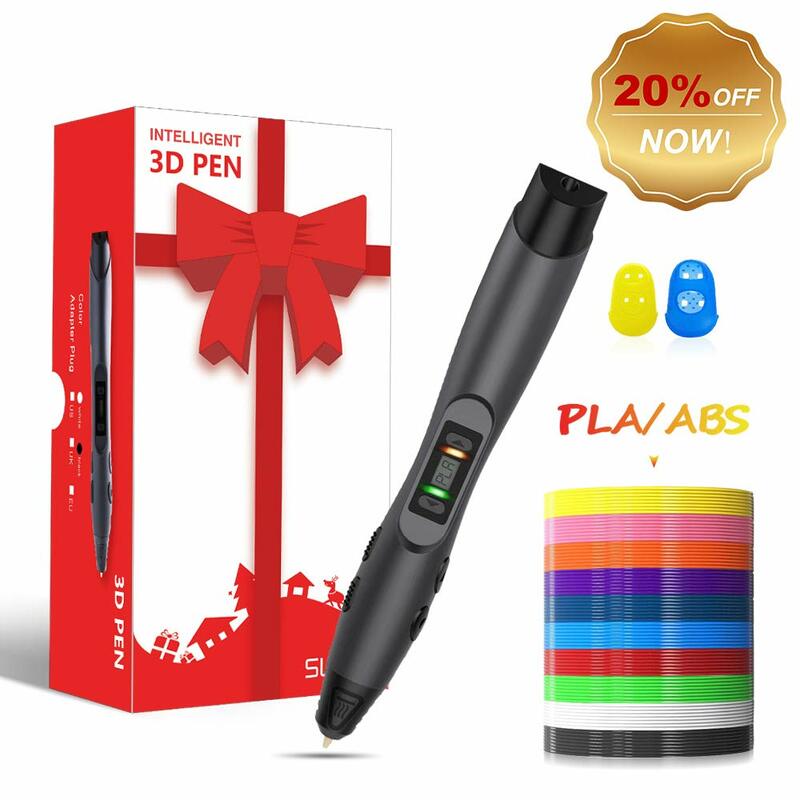 ◆【Perfect Xmas gift for kids】 This gift package including a 3d pen,2 filaments, a pen holder, adapter& USB cable, and 2 fingertip protectors as a bonus. 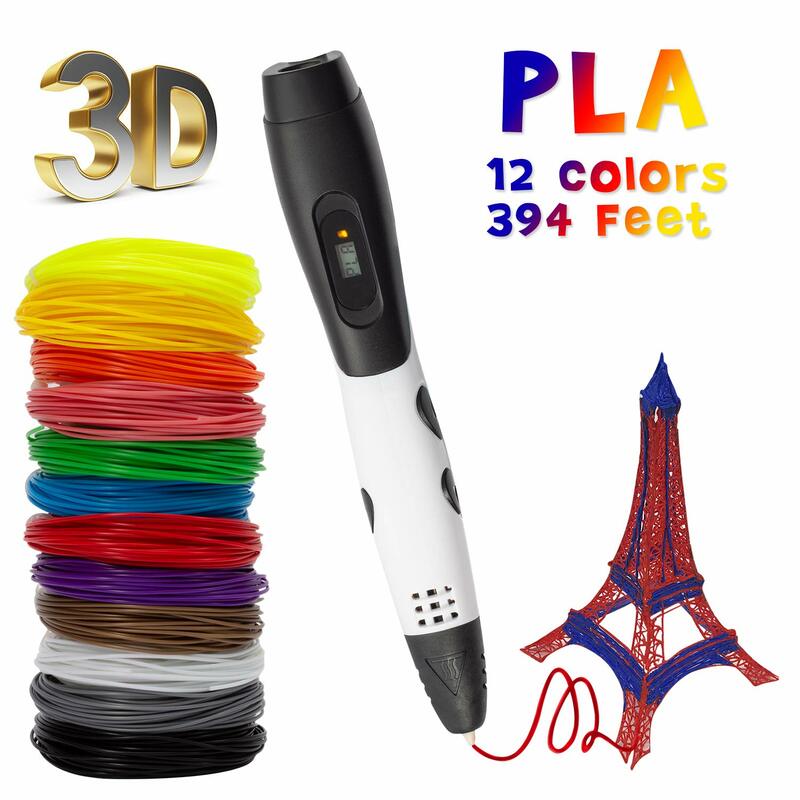 ◆【2 modes,speeds& temperature adjustable】 This 3D pen supports PLA & ABS 2 kinds of filaments and filaments diameter 1.75±0.02 mm. Speed and temperature adjustable allows more enjoyable in playing with this magic 3D pen. With patented ceramic nozzle and adjustable temperature design, this 3D pen is extraordinarily friendly and safe while drawing. Also it provides accurate and stable extruding. ◆【OLED screen display】 OLED screen display shows detailed information, such as: temperature,speed,PLA & ABS modes.